Teresita was born in Mayari, Cuba, on July 31,1940, to Adolfo Cruz and Aurelina Cisneros. She went to be with the Lord on January 21, 2019. She was 78. She played the piano and sang beautifully for her local church community for over 30 years in Cuba, Spain and Atlanta, Georgia. As a child she learned piano, music and participated in her school choir and marching band. She also played the drums. 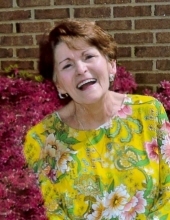 Her love of music remained throughout her life and was passed down to her daughters and grandchildren. She met her beloved husband, Ulicer L. Cortes, in 1960 and married on July 15, 1962. They were happily married for over 56 years. They had two daughters, Maria Teresa (Maite) born in Cuba and Rosario born in Atlanta, Georgia. She immigrated to Spain in 1970 where they lived for four years and, finally, came to Atlanta, Georgia in September of 1974. A life long missionary friend, Rochelle McClure, welcomed them into her home until they bought their own. She was a homemaker, worked as a Teachers Assistant at a preschool for 14 years, where she was loved and valued for her joy, unconditional love of children and where she taught Spanish and music. After leaving her job she was instrumental in raising her 4 grandchildren (Natalie, Fernando, Gabriel and Lucas) in the ways of the Lord. Teaching them “all those” Cuban songs, the love of cooking and abuela’s wonderful recipes and “flan”. All the prayers, love, encouragement and support surrounded her home, beloved husband and daughters, sons-in-law (Fernando and Petros) and grandchildren. She covered us in prayer and took us to the Throne of Glory daily. She taught us to be giving, remain faithful to the Lord our God, to welcome all and to always see the good. She was worshiper of the living God, a prayer warrior and a spiritual giant. Through it all she “kept the faith,” worshiped at all times, smiled and was thankful to the Lord for all HE had done for her. A gentle, kind, loving wife, mother, grandmother and friend to all that knew her, she lived by Philippians 4, “I can do all things through Christ Jesus who is my strength.” She overcame so much in life and always kept her eyes on Jesus. An encourager and forgiving person who always saw the best in everyone and every situation. She was content at all times and rejoiced in the smallest details of life. Beautiful smile and heart who lit up our lives. Life without her will not be easy and she leaves a void. But, most importantly, she leaves a great of legacy of Godly, righteousness and holy living for the glory of God and of love and servant-hood for Christ Jesus. We pray we will be able to always follow in her footsteps and one day hold her again for eternity. Teresita was loved without measure and will be sorely missed, though we are grateful that she is healed and with the Lord. The family will receive friends from 7:00 p.m. - 9:00 p.m. Thursday, January 24, 2019, at A.S. Turner & Sons Funeral Home. Services will be held at 11:00 a.m. Saturday, January 26, in the Chapel of A.S. Turner & Sons with Reverendo Samuel Aleman officiating. Interment will follow at Floral Hills Memory Gardens. To send flowers or a remembrance gift to the family of Teresa Del Carmen Cortes, please visit our Tribute Store. "Email Address" would like to share the life celebration of Teresa Del Carmen Cortes. Click on the "link" to go to share a favorite memory or leave a condolence message for the family.